Remember Rod Blagojevich? My memory of the former Illinois Governor is the coverage of his case from The Daily Show as Jon Stewart made a long-running gag of exaggerating his name. In 2008, Governor Blagojevich was arrested and charged with corruption after a long-running investigation, and was eventually impeached and removed from office. 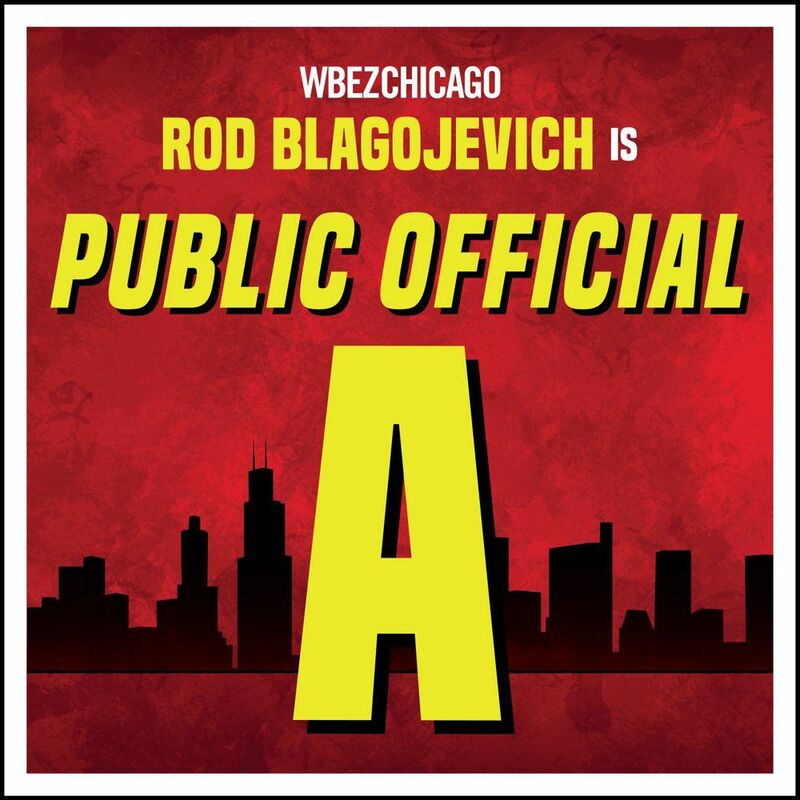 A new podcast from WBEZ Chicago, Public Official A, delves into the events that led to Blagojevich’s removal from office, and why his name has been in the news lately. In the introduction, journalist Dave McKinney describes the show as “this is our podcast about the bringing down of a charismatic and non-conformist politician by a federal investigation,” and if you aren’t up to speed on Illinois politics or can’t quite remember who Blagojevich is, the show is a deep dive into his rise to power that eventually brought brought him to the governor’s office in 2003 — and subsequent fall when authorities hauled him in after their investigation. If McKinney’s introduction sounds familiar, it’s because the series draws some parallels with another ongoing federal investigation — that of the Special Counsel investigation led by Robert Mueller into whether or not President Donald Trump colluded with Russia to get to the White House. Trump is also the reason why Blagojevich’s name has reentered the public conversation once again — he mentioned that he was considering a pardon for the former governor last May. The two also have a history — Blagojevich appeared on Trump’s TV show, The Apprentice. You can listen to Public Official A on WBEZ Chicago, Apple Podcasts, NPR, Pocket Casts, and Stitcher. McKinney told The Verge that he covered Blagojevich “from the beginning,” as a long-time statehouse reporter for WBEZ. He had covered the politician a bit while he was a legislator, and more closely during his gubernatorial campaign and subsequent legal issues. He’s served about half of his 14-year prison sentence. Blagojevich’s name is back in the news, in part because his wife, Patti Blagojevich, has spent the better part of the last year has undertaken a media campaign to try and drum up support for her husband. She’s made appearances on Fox News and The Washington Examiner, hoping to build an awareness for the case, nearly a decade after he was sent to prison. That campaign mirrors the media blitz that Blagojevich went on before he went to trial — appearing on The Daily Show, but also Rachel Maddow, The Today Show, and the Late Night with David Letterman and Donald Trump’s The Apprentice, while Patti appeared on the reality show I’m a Celebrity…Get Me out of Here, which critics said was an attempt to say potential jurors in a case. Public Official A came about following Trump’s comments back in May aboard Air Force One, telling New York Times reporter Maggie Haberman that he felt his sentence was “really unfair.” McKinney says that he’s not a fan of 10-year retrospectives, but noted that Trump’s foray into the story has made it worth reexamining. And while he’s not a huge fan of retrospective shows, McKinney says that looking back does bring some new perspectives. McKinney noted that this story was well suited for a podcast, given the outlandish character of its subject, but also because it allowed them to speak with people directly involved in the story. A big component of the series is a series of interviews with Patti Blagojevich, who they interviewed at length for the series, while other figures involved with the investigation spoke about their work publicly for the first time.